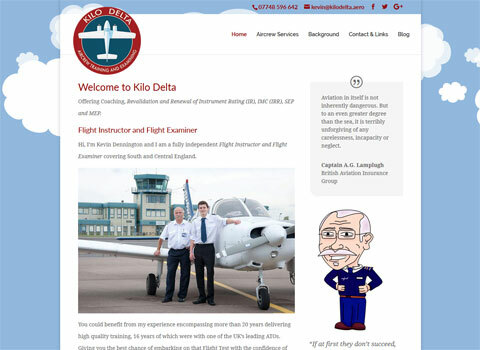 The personality of the flight trainer, Kevin, really comes across in this flight training website design. I was commissioned to design the logo, which Kevin wanted to remind people of the De Havilland logo. The result was a modern, colourful logo with simple lines.